This is a tough one. Sometimes I’m in “why me” mode. 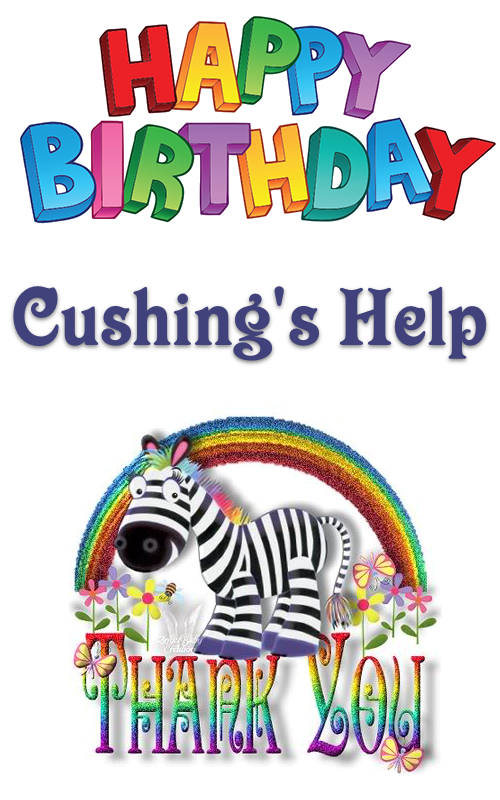 Why Cushing’s? Why cancer? Why knee pain that doesn’t let up?Unfortunately, there’s not a thing I can do about any of it. Cushing’s, who knows the risk factors? For kidney cancer I found out the risk factors and nearly none apply to me. So why? But why not? No particular reason why I should be exempt from anything. I’d wake up on my own – no snooze alarms – at about 8 am, sun streaming through the window. I’d be well rested and not have had any nightmares or death-dreams the night before. I wouldn’t have had any issues sleeping due to my hernia. I’d be able to hop out of bed without my knees hurting or giving way on me, or my tendonitis/deteriorating thumb join throbbing. I’d forget that my DH has cancer and that my mom recently broke her pelvis – in 2 places. I remember my son and his new wife are home for a visit but I let them sleep in for a while.